I always love the look of tying a jacket or shirt around your waist, so I’m obviously a fan of the built-in version this season. It’s a great twist on a typical summer dress and is a super easy style to dress up or dress down. 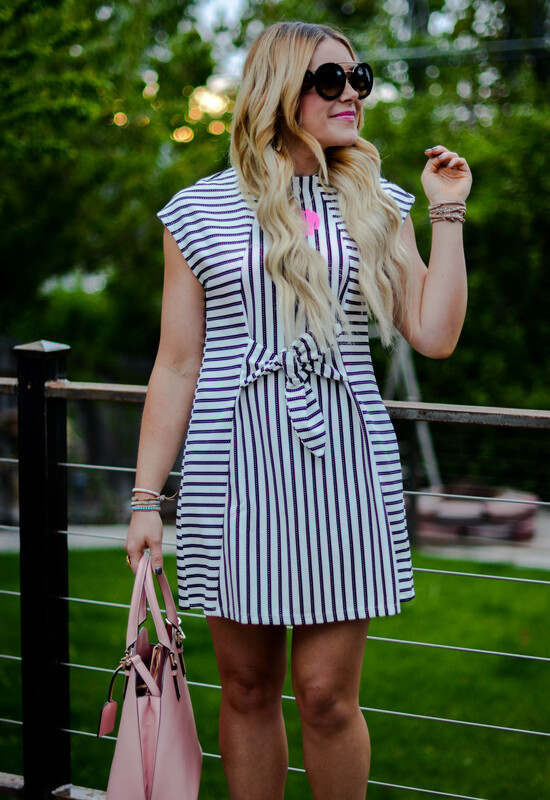 Plus, this particular dress is on major sale right now and I can’t recommend it enough! Hope you guys had a wonderful weekend and that your Monday is wonderful and passes by quickly!